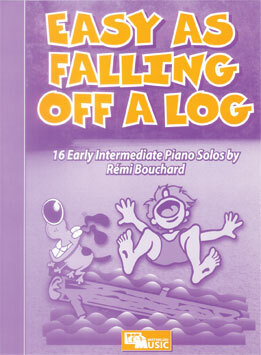 Easy as Falling Off a Log is a collection of 16 piano solos suitable for grades 3 to 5 level (early intermediate). By using similes in the titles, the composer achieves a wide variety of pieces in terms of style and mood -- an excellent opportunity to master the technical challenges found at these levels. Students will be inspired to continue their study of the piano as well as becoming better musicians. Notes are included on each piece.